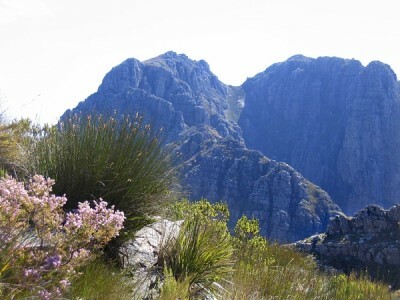 The Cape Winelands Walk is an excellent introduction to Southern Africa, its distinctive landscape, history and culture. The walk includes impressive public nature reserves with exotic plants and animals, private lands in the form of wine estates and other agricultural areas and lively and attractive towns. Our walk left us glad we had chosen this trail – and we have a strong desire to return to this part of the world. Comments- Andries (Trails and Travel) created four separate days of guided walks for me with Andreas Groenewald leading on all occasions. Walks were tailor made to suit my requirement and ability. Andreas is an extremely experienced guide and has a wealth of knowledgeable of and boundless enthusiasm for the flora and fauna, and geology of the mountains of the Western Cape. He was also very aware of my limits (I am in my 72nd year) and it was therefore a great pleasure to be in his company. One of my ambitions was to visit Table Mountain. It was decided that we would take the cable car to the top, explore the mountain top and descend on foot to the Kristenboch Botanic Gardens. The descent involved the Nursery Ravine. 700+ metres on very steep and uneven steps so not for the faint hearted but for me well worth the experience. 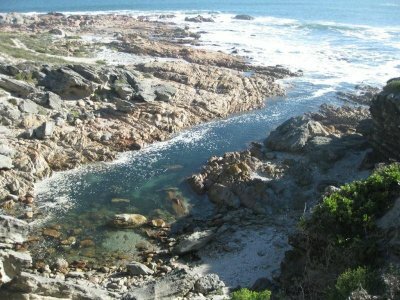 Other walks were in Mont Rochelle Nature Reserve and Fernkloof Nature Reserve. Both beautiful and sufficiently demanding to be challenging. We also spent a day walking around Kristenboch where Andreas’s knowledge greatly enhanced the experience. Comments- This was our first time visiting South Africa but we wanted an active holiday that didn’t involve safari (too vehicle based) so a self guided cycle trip around the winelands seemed a good idea. Andries attention to detail and organisation was superb and we felt very well looked after both before and during our 5 day trip. The cycling was not for the faint hearted, largely due to the temps touching 40deg but he re-organised the route on a daily basis to make it achievable. The amazing wineries made perfect stopping places and Andries was able to recommend the best lunch spots, which due to the heat became very long and enjoyable breaks….the most impressive being Postcard Cafe at Stark Conde, Tokara and Delaire Graff, amongst others…A 10km off roading circuit at Jonkershoek Valley Nature Reserve was surprisingly fun too. Our hotels all provided a welcome rest and were superbly appointed – at Akademie St in Franschhoek we enjoyed our own wood heated hot tub attached to our room. Downsides were having to carry a lot of drinking water (due to the heat) with no bottles provided on the otherwise superb off-roading bikes. The route between Franschhoek and Stellenbosch was basically a busy freeway and a quieter road would have been preferable, not that it probably existed. We also would have preferred to have stayed at one of the wineries rather than in Stellenbosch itself had we known that this accommodation was an option. Other than that it was a superb holiday and we came home fitter and browner and we look forward to trying out one of Andries’ walking routes next time. Thanks for all your great planning for our different hikes and interpretation of your nature life in SA. That made our stay memorable and very special. Comments- Hotels were each lovely, spacious rooms, sumptuous breakfasts, gracious staff, good locations. Hikes were envigorating, plenty of outdoor exercise, beautiful views and fynbos. We enjoyed the guides’ explanations of flowers, helping us slow down and pay attention. Andries was attentive and flexible with changes for weather, trail conditions. Comments- We had a great 3 days on the Cape Winelands walk. There was a good combination of informative guides – on the local flora and fauna (fynbos) and the wineries – walks and of course, wine! We managed to visit 6 vineyards whilst also amassing a total of 45 km walking. The accommodation was spectacular and Andries was an excellent host, ensuring everything was just perfect. The vineyards visited and the accommodation used were clearly carefully chosen to ensure a variety of different settings – all beautiful. Comments- Every part of our customized 2 week hiking/sightseeing trip was fabulous. All accommodations were lovely. Food and service was wonderful. The hikes were beautiful. Each area we visited was a bit different so we felt we had a great overview of several areas including Capetown, the west Coast, Franschoek/winelands and Hermanus for the whales. Andries, company co-owner who worked with me on customizing the itinerary for my friends and I (group of 10) had incredible patience, excellent suggestions, and totally delivered a top notch experience. We are back in Cape Town after our West Coast walk.and I would like to thank you for organising it for us. All three accommodation places were lovely and the hosts very friendly and helpful. Yvonne and Peter, likewise, looked after us well. We had a bit of bad weather on day 4 (Trekoskraal to Paternoster), but the coastal scenery was superb (as was the first section) and even though the flowers did not open, we didn’t get rained on at all. The last day made up for that, with bright sunshine and a superb display of wildflowers south of Trekoskraal. So, overall, we had a fabulous experience of west coast landscapes, seascapes, food and hospitality. Comments- I’m sending a e-mail explaining; the Cavern was not welcoming for longer self-guided day hikes, but we worked that out and had excellent walks at all three locations. It was a great experience exploring and getting to know the Drakensberg area, so very different from walking in the Cape region, and even more different from European mountains! The Spas were excellent, beginning with Clarens and again at the Cavern! Comments- The hike of ± 37 km in the Greater Kruger Park was really well organized. Camping in three different beautiful locations along the route; encountering different animals like elephants, white rhino and many other types; learning about tracks, birds made it all worthwhile. The food was excellent and the company supplied everything from drinks, snacks. We really only had to carry a day pack for camera and binoculars. Can recommend this “luxury” hike. Comments- Accommodation was excellent – first class – complemented by warm friendly staff. No downside if you enjoy outdoor activity followed by a glass of wine by the pool. Thanks for organising such an enjoyable holiday for us. And for providing the information below. It was good to meet you again yesterday and discuss the trip. Accommodation – excellent. We understand the compromise that has to be struck in Stellenbosch. Contact with Trails and Travels – 1) email; great, prompt replies, 2) face to face with Colin and yourself; very useful and informative. Cycle routes – as discussed yesterday. Possible improvements – maps alongside route notes on handlebar leaflet, distance alongside notes for each section, more accurate directions in wine field reservoir area. Otherwise, a very good tour, with particular highlights Jonkershoek trail followed by Postcard Cafe, lunch at Tokara and lunch at Vergelegen (thank you for booking it for us). Comments- All of the accommodation was good. Especially enjoyed Mont Rochelle in Franschoek. Excellent recommendations for estates to stop off at for wine tastings and lunch. a very memorable lunch at Tokara with stunning views. As a non cyclist I found the MB trails exciting and sufficient challenges for the experienced cyclist too. Need a certain level of fitness to cope with the hills! We had dinner at the Graff estate (Stellenbosch) and it was more expensive but great value for compared to price for similar restaurants at home and wonderful location. Pros- Enjoyable, Great accommodation, Great experience, Well organised. Comments- 8 friends (all in their 60’s) booked this holiday a year ago. Andries was very patient dealing with all the enquiries and changes as some were coming from the UK. His regular contact with us throughout our holiday was most reassuring.We had a simply fantastic time. All the accommodations (which included a delicious breakfast) booked by Andries were excellent. He also recommended and booked our evening meals at 2 great restaurants in Paternoster.The walks were very manageable and The scenery beautiful..(We all said it would have been helpful if at least one member of our party could have had a map of each days walk) The transport he arranged to collect people from/to the airport and taking us and our luggage between lodgings was very efficient.Yvonne was a delightful and informative driver. The highlight for many of us was the Steenbok Trail hike at Langebaan arranged for us by Andries as an add on.The flowers were simply spectacular….All in all an unforgettable experience . My wife and I traveled to Cape Town in September 2017 wanting to do some walks. During our 8-day stay (too short!) Andries Liebenberg of Trails & Travel arranged everything for us beautifully. Before the trip started he had sent us a suggested itinerary, and we had worked with him to arrive at a combination of Wine District and Cape Town walks. We didn’t want to rent a car; Andries said no problem and arranged everything: transfers, hotels/guest houses, detailed maps and instructions, and best of all, ample personal attention. Andries really cared that our experience was good and he called us and met with us several times to make sure all was going well. He even recommended specific hotel rooms for the best views. And indeed, everything went smoothly! We can completely recommend Trails and Travel for anyone wanting a walking or cycling vacation in South Africa. As I mentioned before, Andries and Piet really care that your experience is the best it can be! Many thanks Andries for all your effort. Everything went smoothly and we appreciate your arrangements. Heidi is really nice and thorough with her directions, arrangements, information and help. We enjoyed her very much. All the guesthouses were also very pleasant and helpful. Comments- Andries as a host was amazing. Went well out of his way to help us out on a bad weather day. You are in good hands with him. Overall a good trip. After the first two nights in Franschhoek, I think the trip should have the third and fourth nights in Stellenbosch and do day rides from there, and possibly the fifth night in Spier, which is an impressive resort. With the current itinerary, I found it a bit too much packing and unpacking. I did not enjoy being in the suburb of Somerset West on the fifth night, even though the hotel was very nice. Would it not be possible to include Paarl in the trip? It’s a wine town too. Comments- Many thanks to Andries and Piet for organizing a brief, but inclusive, 5 day, 4 night walking tour of the Somerset West / Stellenbosch areas. The trip included all essentials, nice hotel/B&Bs, wine tours, detailed walking instructions, all transfers and a very informative guided tour of the fynbos ecosystem in the Helderberg Nature Reserve. Besides the guided tour of Helderberg, other highlights were the guided walk/visit of the Waterford Estate and the hike along the vineyards of the Blaauwklippen valley to Stellenbosch. We felt after our experience, that we had learned a lot about the region’s ecology and wine. This is a beautiful region and we hope to return at some point in the future. Description- Perfect walking holiday for wine lovers! Comments- Absolute heaven – sunshine, stunning landscapes, amazing food and hotels – we will be back! Description- Superb 5 day winelands cycle tour ! Comments- We had a great time on the Cape Winelands Cycle Tour. Andries and Piet put together a perfect itinerary for us, giving us optional routes to include or bypass. Mary, “there were parts of the route I found very challenging and I doubted my endurance, however I had a wonderful sense of achievement when we completed the itinerary”. The directions and maps provided were very helpful, with a thorough weather and route briefing from Andries before we started. We had a great mix of on and off road routes, wide and narrow dirt tracks, and gorgeous trails through vineyards,(one or two busy roads quite tricky to cross). Our accommodation was lovely and baggage transfer and pickup and drop off logistics went without a hitch. To avoid the peak intensity of the sun, we set off early each morning, so we had to pass by many of the great wine estates listed in the tour notes before they even opened ! Winery highlights for us were lunch and wine tasting at Holden Manz, brunch at Tokara and lunch at Somersbosch. The only suggestion for improvement we’d have is to include the route maps in the laminated material. Thanks Andries and Piet for arranging a great tour for us. Comments- Andries Liebenberg and Piet Krynauw arranged an excellent walking holiday for my wife and me. Some of the days were guided and some self-guided but the accommodation, transfers, car hire and some of the meals were arranged, and in every case we were very well taken care of, indeed. The selected accommodation was all excellent, the walking guides were all knowledgeable and outstanding, and the materials associated with the self guided components of the walk were also great. We visited Cape Town and its surrounds, Somerset West, Stellenbosch and Hermanus. Andries and Piet took components of their walks for each region and combined them into a bespoke plan for our trip over two weeks. Really very good indeed and thoroughly recommended. “We want to thank Andries & Piet of Trails & Travel for an unforgettable holiday in the Western Cape which we absolutely loved. T&T’s suggested walks and trails were stunning, …. and maps, ….. and even weather & wind reports …, were provided which were explained to us in detail. The personal attention we received was second to none. T&T had booked our hire car at Cape Town airport and we were met and welcomed by Andries on our first morning at a beautiful coastal botanical garden where we had coffee. All our walks were beautiful, varied and geared to our level of fitness, and one of us having a fear of heights. On these walks we saw stunning scenery, mountain ranges, long deserted golden beaches, dazzling wild flowers such as proteas, sunbirds, sugarbirds, seabirds, seals basking on the rocks, schools of dolphin, lizards basking on rocks, a heron hunting for frogs, birds of prey, and the occasional angular tortoise that crossed our path. T&T had also arranged on two occasions for us to meet local guides who were keen hikers, and had an in-depth knowledge of the local fynbos, plants, birdlife and taught us much about the local environment and up-to-date conservation matters. They even transported us to or from a few of the walks. One Guide also booked us into a walking trail on a private winery. We visited beautiful Nature Reserves with peaceful walking trails that we would never have known about if it had not been for T&T. The attention we received was personal and friendly, and we were even visited (unobtrusively and at our convenience), e.g. to bring our tickets for Table Mountain, booked by T&T, and to see how we were getting on. The suggested scenic driving routes between areas were breath-taking and sometimes we drove for hours in the silent heat without seeing another car, looking out over vast mountain ranges and expansive hot golden-brown plains spotting ostriches, eagles, buzzards, what we think were either blue cranes or secretary birds, sea eagles etc. We also spotted baboons by the roadside when we got closer to some towns. Our hotels were all varied modern, clean and comfortable. I particularly loved the French-style accommodation in Franschoek. We decided not to have a car when we were in Cape Town during Christmas week and T&T arranged taxi transfers to and from the airport when we were without a car. They also suggested and arranged for us to do a Peninsula Tour by car with a local guide when we were staying in Cape Town, where we were driven over beautiful Chapmans Peak, went to the Cape of Good Hope, saw penguins at Boulder Beach, and other amazing sights. T&T also recommended other places of interest to visit for the occasions when we weren’t walking, such as a Bird Sanctuary where we saw exotic birds close-up e.g. flamingos, macaws, spoonbills, scarlet ibis and many more; exotic cool Botanical Gardens; farmers markets; and a beautiful remote game reserve where we saw lions, elephants, giraffe, zebras, ostrich, springbok, gnus, elands, baboons, and hippos, all of which were very exciting. T&T also recommended a variety of lovely restaurants and wine estates which were relaxed and the food and wines were first rate and delicious. Comments- We spent a fantastic three days walking in the winelands. The walks were stunning with incredible views and we had good instructions to guide us. The accommodation was excellent. Andries went out of his way to ensure we had everything we needed and was full of information about the routes, the winelands and the history and geography of the area. We would wholeheartedly recommend this trip. Just wanted to thank you so very much for looking after us on our trip. It was very kind and generous of you to give us such detailed advice and make yourself available at all times. We loved our walks and Betty’s Bay – alas our time was too short but we look forward to returning to this wonderful area in the future. I have a couple of plants from the Botanical Gardens in memory. We did not do Leopards Kloof – save that for next time as we were both low on energy in the morning after a late night. Comments- Highly recommended. Andries could not have been more helpful. Wonderful first day exploring fynbos with Andreas – a genial expert – then a 20km hike along an exclusively-arranged route. Final day into Stellenbosch led to a few wrong turns along the way, but probably our fault (though do check ambiguities Andries leading to tree 17!). Overall, a great example of professionalism and courtesy. Description- A wonderful, wild, but safe, adventure! Comments- This was the highlight of a two week trip in and around Cape Town. Before we were let loose in the mountains we had a fascinating morning guided around the foothills by Andreas – a charming, enthusiastic and highly knowledgeable expert on flora and fauna. Next day we set off on a 20km hike safe in the knowledge of which berries we could eat if we were starving, which leaves we might inhale in the case of a cold and which plants form a good mattress in case of exhaustion. A glorious day, we felt as though we had the mountain to ourselves, but safe at the same time. My only complaint is that there was not a mountain leopard to be seen! Andries looked after us with great consideration and warmth, went out of his way to make sure we were happy and well catered for, and planned the three days of walking with great care. We did get a little lost on the last day’s walking – without gps we were dependent on some debatable landmarks – but it was a lovely walk and all well worth it. The accommodation and service in both hotels was warm and friendly and the food good. A very special trip indeed. Thank you once more so much for your extremely gentle and warm welcome and the wonderful guidance for us, especially the hiking on Table mountain. The day with Andreas was a great discovery for me, his profound explanations about every plant, flower and animal on the way. I never had such a feeling of the diversity that our planet offers to us human beings. I am deeply gratious about these moments that South Africa brought to my soul and to my mind. So please tell Andreas what I felt on that hiking walk with him. All the best and hopefully see you once more in this life. We had a great time in the Ceder mountains. The house was perfect and also the hikes. Thank you very much for organising. Comments- We had some of the most amazing, beautiful and adventurous days in South Africa. Of course we went to see all the things normal tourists would do, but our personal and lovely guide Andries from Trails & Travel showed us more than that. All in all we had four guided hiking tours to Mont Rochelle & Franschhoek, to the Kirstenbosch Botanical Garden & the top of the Table Mountain, to Lourensford and finally to the Fernkloof Nature Reserve & Hermanus. Andries and his team made this trip very special to us and we couldn’t be happier to call you a new friend. The pictures we have taken during our stay may reveal some stunning insights of our tours, but not even they can show you what we have experienced. So thankful and happy about being here and getting in touch with such friendly and awesome people. They made our stay really unforgettable, so thank you for everything!! We will miss you a lot. Comments- I would have preferred a longer walk. Only 2 full-ish days and a very short third day walk was not long enough for me. The Arniston Hotel was great and we discovered a fabulous local restaurant (the name escapes me) which was far preferable to dinner in the hotel restaurant. Thank you again for all your efforts in making our West Coast Walk such a special experience. I include a collage of our photographs. It was hard to decide what to include as there were so many beautiful moments. For me and Johan the togetherness as a family was key. In our busy lives it is necessary to take such short breaks, spending time with family members. The advantage was that it could be in nature and away from technology! The four days were worth more than a week’s “normal” holiday. Although Ivan (9 years old) sometimes tired, one of his highlights was the scenery. He had real appreciation for the environment and enjoyed taking photos of the beautiful surroundings and little things like flowers or a bird in a tree. Thanks for adapting some of the trails for him. I know of some 9 / 8- year olds who can handle 20 km a day on trails, but children differ and for him it was a real test. For the 16 year old Calla the route was at times a bit boring and he would have preferred more of a challenge. He, however, realised that Ivan had to be accommodated. For him one of the highlights was the delicious meals at AH! Guesthouse. Typical teenager. Comments- This was an excellent short break. 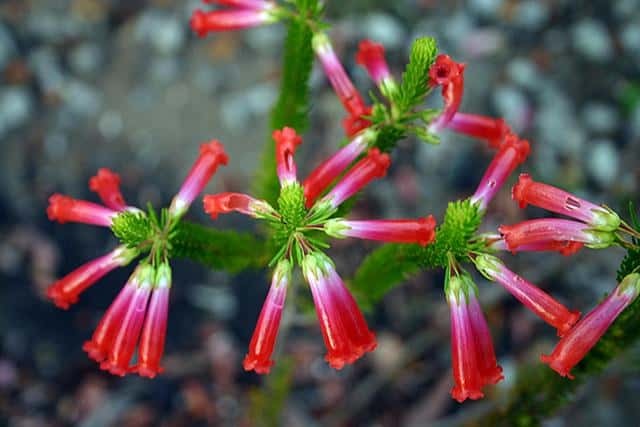 We had several wonderful walks including in the Mont Rochelle nature reserve above Franschhoek with Siegfried – a very knowledgeable guide to the botany of the area – and another in the fynbos above the La Motte winery. The Akademie St Boutique Hotel was an excellent choice and Andries’ organisation was perfect. So too were the fine dining restaurants in the village. This was part of our first visit to South Africa. We’ll be back! We had a fabulous week, the scenery was amazing… The incredible landscapes and views on the walks as well as the amazing flora and fauna made this a unique and wonderful experience. The route was well planned and tailored to the needs of the group. The accommodation was stunning and the breakfast was a feast for the eyes and a certain delight for the palate. A lovely combination. The entire trip was magical and we loved every moment of it. If you love nature and want to discover the beauty of the Westcoast I would wholeheartedly recommend going on this tour. Credit should be given to Andries who left nothing to chance and organised our walking tour with extreme professionalism. Nothing was too much trouble for Andries. Well organized, interesting, hassle free and great fun- Walking Holidays made the trip a truly memorable experience. I would highly recommend this company!! Comments- Andries and his team were absolutely professional, reliable and efficient from the booking to the end of the hike. They looked after each detail to make the hike most memorable. All the routes were clearly explained and discussed. The highlight was to walk on the beautiful Lourensford Estate from Somerset West to Stellenbosch where no others hikers have the opportunity to hike. Wow!! The accommodation was carefully selected and was wonderful after a long day in the boots. Andreas gave excellent information on the Fynbos. Thank you so much Andries for an unforgettable hike. We will be back to do the West Coast. Overall this was a fantastic holiday, probably one of our best ever. South Africa is obviously a beautiful and varied country and I feel privileged to have sampled a little bit of it. I want to thank you both for all you did for us, both arranging all our bookings and for being so responsive in the planning stages, and for being so flexible regarding day to day arrangements. All of our accommodation was well chosen and very comfortable, and I all too quickly became accustomed to those generous and delicious cooked breakfasts. My thanks for all you did to organise and guide us on our time in the Cape. I enjoyed all the places we went, things we saw, and people we met. All your accommodations were nice and your transfer arrangements went very smoothly. We were also try fortunate with the weather. Of all our walks, my favourites were the last two days. Although it was a very hot day, I also especially enjoyed Vergelegen. Cape Winelands Walk, 7 days, March 2016 Review by group of eleven hikers. Their tour included trails in Somerset West, Stellenbosch, Franschhoek, Kogelberg and Hermanus. Comments: Andries and his team went to lot of trouble to put together a bespoke walking holiday for our regular group of 11, incorporating some of the best bits of several trails, wonderful accommodation and perforce plenty of transfers in generally first class vehicles. They provided an excellent guide book with clear walking directions, and also met us regularly to discuss the details and make sure all was well. Our bucket list trip to South Africa was made easy and memorable due to our reliable travel companion: walkingholidays.co.za Andries, the power behind the organisation, proved a great find before and during our adventure. Always reliable in returning calls and emails, he coped calmly with late changes to our itinerary imposed by airline dates. The hiking plan he created for us started with an orientating walk of the Cape’s ecology, “fynbos”, led by a professional naturalist, and this added greatly to our enjoyment when we were alone on the hike. Our companion throughout the hike was his manual, which directed us between locations, pointing out the important sights as we progressed. Each section contained shortening and simplifying options to allow for the experience and confidence of the walker. More broadly, he made recommendations and bookings for some truly memorable locations to eat and rest. Andries’s help added to what was a truly great experience: we always felt he was there in the background, to be called on if needed, but never being intrusive. We have no hesitation in recommending walkingholidays.co.za. Description: Unique, invigorating, well-organized, safe experience. Comments: I concur with everything in Nanette Nel’s review! Our every expectation was not only met, but surpassed. Our every need was met, concerning safety, support, accommodations, logistics, instructions and expectations. BRAVO! Description- What a wonderful experience! Pros- Enjoyable, Great accommodation, Great experience, Well organized. Comments- This was the first walk long walk I’ve done locally, and it surpassed my expectations in all possible ways. Firstly, the organisation was exceptional – Andries handled everything, from the accommodation to the restaurant bookings, superbly, and there were no hiccups or snags. He explained the route to us, gave us a printout of tides and temperatures, and generally made sure we knew what to expect ( although day 3 proved tougher than expected ! ) 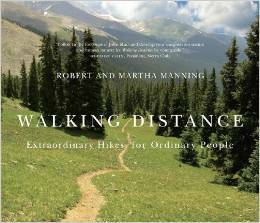 He even roped in his wife, Martie, to provide cold water halfway on the route on day 2… The scenery was beautiful and the beaches pristine, with hardly a soul in sight. Accommodation was wonderfully comfortable with hot showers (essential after a long day’s walk) and the restaurants in Paternoster provide meals for any taste. The Noisy Oyster comes highly recommended, as does Arnold’s long table at the quirky Ah! Guesthouse. Don’t miss either! Andries and his team was tremendously helpful in supporting us for our holiday trip to South Africa for 8 days in November. Not only did they help us to plan the whole trip with walks, hotels etc. and provided suggestions on a suitable schedule, that also were super helpful on the grounds and really went out of their way make our stay truly amazing. We had a full schedule which included waking up Table Mountain, visiting the vineyards of Franschhoek, drove down to Cape Point, saw penguins and spent time at the beach in Hermanus. A very diverse 8 days ! We had such a great time in South Africa and Andries kept checking up on us regularly to make sure that everything was ok and that we had everything we needed. We can most highly recommend “Walking Holidays” to help plan your trip to South Africa. Comments- This was our third visit to South Africa – but our first to properly explore the Winelands. And there could have been no better introduction to this beautiful region than the Cape Winelands Walk. From start to finish it was a wonderful, compelling experience. We were blessed with perfect walking weather; the spring flowers were in bloom; the scenery ranged from majestic to gentle; the wines were outstanding; the whole trip was excellently organised; Andries could not have been more helpful. Simply unforgettable. First of all, I just wanted to say thank you. I want you to know that I had an amazing time in your country and was sorry to go. Whenever I return from trips such as this one, I always feel changed for the better, and this trip was no exception. The Cape Winelands Cycling tour was a carefully planned, intricately designed journey through the one of the most stunning areas of South Africa. We received our beautifully thought out booklets, detailing our routes with well constructed maps and directions. These booklets also included innumerable recommendations of vineyards and other great places to stop on our relaxed bike trips. One great thing about the routes, specifically, was their flexibility. You could really do anything you wanted, so long as you got to next hotel, where your luggage would be shipped without fail by taxi. Many of the trips we biked we shortened in order to spend a lot of our day at vineyards, tasting wine. We stopped at a maximum of three vineyards per day trip, even though our four-day quest took us through some of the most famous vineyards in South Africa, in the towns of Franschhoek, Stellenbosch, and Somerset West. We chose to stop at those great vineyards that specialized in other things besides great wine, chocolate and olive oil, for instance. I can truthfully say that every stop we made resulted in a worthwhile experience. Not only were the stops fantastic, but also the biking was set in a beautiful area, with sloping mountains and luscious greenery surrounding us. By the end of our four days I was immensely happy and sorry to leave at the same time. This was an experience that I will not soon forget. Thank you. We had a fantastic weekend. At both guesthouses we received a warm welcome and it was clear that everything is organized and in place. Breakfast at AH! was very special. For future groups I recommend Arnold’s long table dinner – instead to eating out. The walk was a wonderful experience. Fantastic weather with beautiful sunshine and cool days. The route booklet was very helpful and the directions were clear. We found our way without any difficulty. We encountered high tide and the beach walk was a good challenge. The courier company went out of their way to transfer our vehicles for our convenience, at a minimal extra fee. It was an unforgettable hikingr experience for all of us- both experienced hikers and beginners. All of us have wonderful memories of the West Coast Walk. Thank you for your effort and help, it was a pleasure to deal with you! Comments- Pros – Andries provided continuous personal attention. We met Andries or e-mailed with him every day of our trip where he relayed additional information and changes/updates to our itinerary. Walking directions were clear with a few notable exceptions which will be sent separately. Kirstenbosch is educational and gorgeous. Nursery Ravine route to Table Mountain and cable car was challenging, scenic, and hot. Lovely walk from V&A Waterfront to Camp’s Bay. Beautiful hike over the saddle from Lourensford to Dornier Winery. Cecelia, our nature guide at Helderberg, was very knowledgeable and pleasant. We only had time to visit Vergelegen after wine tasting and lunch at Lourensford. Interesting history and gardens at Vergelegen – ancient trees. Pleasant walk from Dornier to Stellenbosch. We had a good amount of time to sightsee and shop. We ate at Oppie Dorp and D’Ouwe Werf Hotel. Both were excellent. We suggest that you recommend to clients that they visit the large Information Center. There is a shop stocked with products made by local entrepeneurs. We enjoyed visiting the SASOL Gallery, Botanical Gardens, Village Museum, and Stellenbosch University grounds. Shopping in Stellenbosch is a real value! Izak Rust gave an excellent tour of Mont Rochelle. We had a very relaxing time in Franschoek shopping and visiting wineries. The La Motte Winery hiking trail was a wonderful hike – lots of baboons visible at a safe distance. Even though the museum is typically closed on Mondays, Andries was able to arrange for a personal tour – Very interesting history of the farm and the region. We spent a pleasant and relaxing afternoon at the Rickety Bridge restaurant, winery, and manor house. We had an easy transfer to Cape Town where we picked up a rental car and headed to Betty’s Bay. Hans and his daughter took us to visit the penguin colony, a highlight (that’s a lot of cute penguins) and we discussed the recent fire, its effect on the fynbos, and other Kogelberg hiking options. We had a delicious dinner at Bistro 365 in Pringle Bay. We hiked Leopard’s Kloof in the Harold Porter Botanical Garden and toured the grounds – lovely waterfalls and interesting fynbos gardens. We drove to Hermanus and were met by Malcolm who took us on a driving reconnaissance of our walking itinerary for the next three days. He provided photographic guides to key decision points on the hikes which were very helpful and gave us a wealth of other printed material about the history and sights in Hermanus. The Fernkloof hike was beautiful with lots of bird activity. Malcolm accompanied us from the hotel to the start of Elephant Path We travelled the contour path and then took the red route to the waterfall before heading to the visitor center where we walked down to the cliff path and strolled from Kwaaiwater to Auberge Burgundy. We had an excellent dinner at Lemon Butta and enjoyed a magnificent sunset over the ocean from our dinner table. The contour hike to Voelklip was lovely and cool with lots of birdlife and evidence of baboon activity, although we never saw baboons. 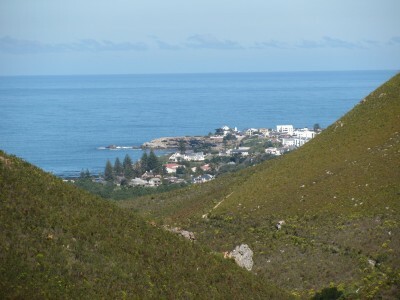 We concluded the hiking by completing the cliff path from the milkwood forest to Kwaaiwater where Malcolm picked us up and returned us to the Auberge Burgundy. Andries had arranged for an addition to our itinerary. We drove to Kleinbaai for Shark Cage Diving where we spent a fun and exciting day on the water and in the water with six sharks – awesome fun! We had a marvelous late afternoon dinner at Lizette’s Kitchen where we bumped into Malcolm riding his bicycle to the beach for a swim. Bottom line – as the title suggests, we enjoyed every day immensely with very few glitches. We received far more support and personal attention than we had expected. Cons – We had a few points of confusion regarding the hiking instructions and will offer improved instructions separately. Our arrangements on Day 12 had to be altered as many itinerary items were closed on Monday. It seems this could have been anticipated. Andries informed us of changes in his daily updates and we did have alternative arrangements. The route guide was not completely personalized. In some places, the maps had been reused from other or earlier itineraries and were not completely correct. Cape Town is not completely safe for tourists on the walking routes we were recommended. Future clients should be advised to take precautions while walking within the city. Thank you Andries for a wonderful experience! The Divas enjoyed it tremendously. Some highlights were the Cats Pass which tested our endurance, the delicious gourmet restaurant and bubbly at Haute Cabriere, the wine blending and creation of our own “masterblend” at Rickety Bridge, the spectacular trail at La Motte and wine tasting at La Motte and Leopards Leap. It was an experience that we will always remember! I can recommend Franschhoek Valley Walk to anyone who loves wine, outdoors and scenery. Andrew and I thoroughly enjoyed the whole of our trip to South Africa and it ended beautifully with the fabulous walk where my favourite place had to be Paternoster. We started at Oystercatcher Lodge, which was very pleasant ( other than a creaking bed! ).The evening meal at the local hotel was disappointingly average and maybe we could have driven somewhere else? However even though it was a grey day on the first walking day it was very exhilarating with the noise and spray from a lively ocean, and the rugged coast reminded us of our holiday to Namibia. Finishing our days walk at Paternoster, a little gem -Especially as you said to stop off at the beach restaurant-a dangerous thing to do! What an amazing fish restaurant with great wine. We continued a walk through the old fishing town, which sparkles against the ocean and arrive at the fabulous Gilpins Lodge, a thatched guest house with great hosts, a lovely room and tasty breakfast. We had 2 lovely days walking from there, both different, both HOT. Even though I am not an avid bird watcher, the variety was amazing. Walking on the sandy beach with triffid size seaweed or the vast shell beaches was great. We came across several barbque areas which were being tidied up but we came across very few people on our walk. The last day took us to another picturesque place called Jacobsbaai and we finished at another lovely guest house. A fab time. We go to Spain shortly where I shall give my friend your details, otherwise I hope we shall have the pleasure of another of your walks next year, whoop woo! Just to let you know that we are safely back in Windhoek. Thanks again for exceeding our expectations and for making this experience successful and unforgettable for us! Have a look at the amazing panoramic picture taken from the top of the mountain. Hiermee om jou te bedank vir ‘n heerlike en uitstekende stap. Julle het ‘n puik produk wat nog ‘n groot aanvraag gaan raak in die toekoms. Personally found second day (1st walking day) too long. Feel it should be divided into two days, respectively 10 and 12 km. Saw very pristine stretches of beach that is only possible on foot. All in all it was a very enjoyable experience, one which we will definitely do again. Thank you Andries for all your personal attention and organising. Much appreciated. Dit was n baie spesiale belewenis en ons het dit vreeslik geniet. Baie baie dankie vir die moeite en al die reelings. Expectations were surpassed – the area is pristine. It varies from remote wilderness to farm to town, with some world class restaurants thrown in and warm hospitality all the way. Andries saw us on our way and looked after us, even facilitating our doing the last days walk a day late to bypass some bad weather. We cannot recommend the walk highly enough. Our walk through the Cape Winelands was magnificent. The holiday plan arranged by Walking Holidays exceeded our expectations in terms of beauty, convenience, and service. The walks selected for us were challenging, but enjoyable; exactly what we wanted. The special attention provided by the staff, specifically Andries, made the journey all the more memorable. I would highly recommend anyone interested in exploring the natural beauty of South Africa and the first-rate wine and cuisine this area has to offer book a holiday with this outstanding outfit. It was altogether a wonderful walking holiday and, at the same time, introduction to South Africa. Some highlights were: the hike up Table Mountain; all of the walks with expert guides that truly enriched our experience, but especially the walk with Isak; the high quality and personal hospitality in the guest houses (Klein Bosheuwel was a perfect starting point with Tim’s hospitality as well as the beautiful surroundings! ); walking the contour paths in Helderberg mountain and in Hermanus, and of course so many excellent meals in different restaurants that I couldn’t list them all. It was quite a new experience to be “taken care of” throughout the trip –in Europe, where self-guided walking has a long tradition, the tour organizers send detailed information in advance, including arrangements to have the luggage transported from place to place, but once you begin your holiday, you are on your own. The assumption is that, if you wanted a local guide you would have booked a group tour. So it was quite unexpected, but extremely helpful and a great pleasure, to be met and guided by you, Izak, Hans, Andreas and Malcolm, including very enjoyable conversations as well as useful help. We were particularly impressed that you and Malcolm had actually gone up and marked the path at the end of the second Fernkloof walk with red dots and stone beacons (so it was very easy to find!). We also thoroughly enjoyed the two-and-a-half day private tour with Jo; it gave us an excellent overview as well as “winding down” from the walking. We ended the trip on our last day with a long, long walk along the beach in Milnerton. Overall, nothing went wrong or caused us any Angst or distress. My husband and I have ‘slack-packed’ in the wine regions of France and Chile before, and wished we could find something similar closer to home, but never found the time or the right guide. It was serendipitous that Women & Home’s article “Do More of What You Love”, which showcased a walking holiday in the Cape Winelands, came at during a very stressful time in my life. It was, in fact, my husband who was inspired by Women & Home to take me on a walking holiday – he was looking for ways to help me de-stress and help us reconnect after a tough year. The experience itself was magical. We chose a 4 night – 3 day walking tour through walkingholidays.co.za, which started in scenic Somerset West and ended in historic Stellenbosch. We were greeted at Erinvale Estate Hotel by a complimentary bottle of wine and our guide, Andries Liebenberg, who gave us our guidebooks and instructions. The first day of walking, which was around 10km in total, took us through a guided tour of the Helderberg Nature Reserve, where our guide showed us the different flora and fauna that we could expect in the following days of walking. In the afternoon, we headed off to two of the local wine estates – Lourensford Estate for chocolate and wine tasting after lunch, and then Vergelegen with its colourful history. It is hard not to feel like Elizabeth Bennett entering Pemberley when walking across the expansive grounds of Vergelegen, with its avenues of trees, octagonal garden and beautiful estate house. I briefly wondered whether we would reach the wine tasting before dark, which we fortunately did, but I wish that I had given myself an additional two-hours to explore the grounds and historic buildings. The second day of walking was a fairly challenging, but breath-taking, 20km walk over the Helderberg Mountains from Lourensford in Somerset West to Dornier Estate, just outside Stellenbosch. The paths were good and the views along the walk were spectacular. The best view was at the picnic spot set at the highest point of the climb. At the end of the walk, another wine tasting and a comfortable stay at the Dornier’s Homestead (which was designed by Sir Herbert Baker) awaited. On the third day, we had to contend with a freakishly strong South Easterly wind that had blown down a dozen or more trees along the route, making it difficult to walk along the designated path. We therefore opted to drive the final part with our guide, who took us to another wine tasting and then through to Stellenbosch. Overall, the holiday was invigorating and Andries Liebenberg at walkingholidays.co.za was a superb guide and made our trip very special. Thank you Women & Home for the inspiration! *Slack-packing is essentially backpacking for people who like adventure but really like comfortable beds, decent meals and warm baths. Otherwise put, it is walking holiday where your luggage is transported by a 3rd party to a 3 – 5 star B&B each night, as opposed to contending with sleeping bags, tinned food, cold showers and walking with a heavy backpack. Sorry, I tend to ramble a bit, but it was a fantastic experience. Enjoy a walking holiday along the Cape Winelands with overnight stops in fab accommodation along the way, and your bags transported ahead.The seven-day 100km walk from Somerset West to Stellenbosch takes you through exquisite wine estates and nature reserves to scenic country roads. From R5 880pp; October to March is best, as the weather is more predictable. I wanted to tell you how much Martha and I enjoyed our Cape Winelands Walk in December. We found the history and culture of the wineland region to be fascinating – our visits to the beautiful and impressive Lourensford and Dornier Wine Estates were highlights of the trip. And the historic town of Stellenbosh, with its stately oaks, impressive university, and lively downtown, made for a great place to stay. The walk also had an appealing “wild side” to it – the impressive Hottentot Holland Mountains, the biologically rich expanses of fynbos vegetation, and the Jonkershoek and Helderberg Nature Reserves. We genuinely appreciated your attentiveness to our every need. As you know, Martha and I have had the privilege of doing walks all over the world, and the Cape Winelands Walk is one of our favorites. We’re recommending it to our walking community in the States.Thanks again for everything you did to make our walk so special! We found the directions easy to follow but were tempted on walking straight over the mountain, but realized for tourists who don’t know the mountain, it may be quite risky. The cement table and chair on top of the mountain is an attractive feature. The guest house in Blaauwklippen Valley was beautiful. It was great to have a swimming facility. We really enjoyed this hike. Very easy to follow directions. The views from Square Tower North over Jonkershoek, Pniel, Boschendal, Simonsberg etc were amazing, we could see right through to Lions Head and Signal Hill. Guest house in Jonkershoek was lovely with very good breakfast. How would you rate your holiday-1 to 5 ?